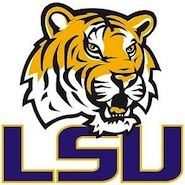 It's the most anticipated game of the 2011 season as Alabama hosts LSU on Saturday, November 5 at 8 p.m. in game that has BCS national championship implications. Alumni, friends and fans in the Greater New York area will be watching the game at our primary homes for Alabama football, The Ainsworth and The Hill, with a new addition to our UANYC game watch locations, The Fulton and Pub One. Located at 121 Fulton Street between Nassau and William streets, The Fulton is one of the best new sports bars in Manhattan. and features 35 televisions. Run by the same team as The Ainsworth, Pub One offers 12 HD televisions. Both bars will have the same specials, music and great Alabama atmosphere as The Ainsworth and The Hill. With the addition of The Fulton and Pub One to The Ainsworth and The Hill, there will be no better places to watch the game outside of Tuscaloosa. UANYC members can request reserved seating on space-available basis at The Ainsworth, The Hill, The Fulton or Pub One by sending an e-mail to alabamanyc@gmail.com until Noon on Thursday, November 3. Reservations are limited to a minimum of four seats per member. Please submit your request with LSU Table Reservation in the subject line of the e-mail. In your request, provide the number of guests (minimum of four), your cell phone number, bar preference, and the name you would like on the reservation. Confirmations will be sent out Friday afternoon. We will do our best to accommodate everyone, with dues-paying chapter members given priority. Reservations are not required. There will be a limited number of open tables available on game days at The Ainsworth (and at The Hill and The Fulton for selected games) and all three have great bar areas.